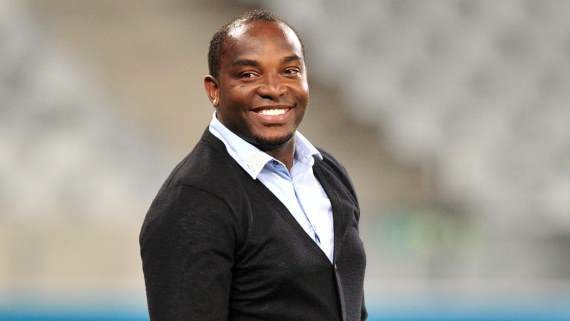 Cape Town City coach Benni McCarthy says his team were on the wrong end of decisions made by the referee in Saturday's 1-4 defeat to Kaizer Chiefs. Referee Thando Ndzandzeka sent off Citizens defender Taariq Fielies with 20 minutes to go in the league match in Cape Town, having taken several minutes to realise that the yellow card he handed out on 69 minutes was Fielies' second of the afternoon. "It is just another in the ongoing dilemma," McCarthy said. "They [referees] all look nice, with their Outsurance kit. But that was the best thing about the performance out there, the beautiful green and purple kit. "I don't want that to overshadow the fact that we came short and lost. "But the manner we lost - for a coach it is frustrating when you are up against 11 men who wanted to overturn their bad run and they got a little bit of help from the man in the middle," he was quoted saying by the Financial Mail. The former Bafana Bafana striker also felt that the free kick which led to Chiefs' opener from Siyabonga Ngezana should not have been awarded. "They hit us with a counter-attack. It was a nice assist from the referee," he said. "I tried to see where it was a foul, our player winning the ball fair and square and he gives them a free kick and they score from there." McCarthy did however concede that his team were not at their best. "We started slow. I am not sure [about] the reasons behind that," he said. "But we looked like a team that was star-struck, the crowd affected us because it is not every day we have played in front of such a big crowd. The players weren't themselves. "We made Chiefs look like world-beaters. It was one of those days that didn't go for us. Chiefs took their opportunities and well done to them."